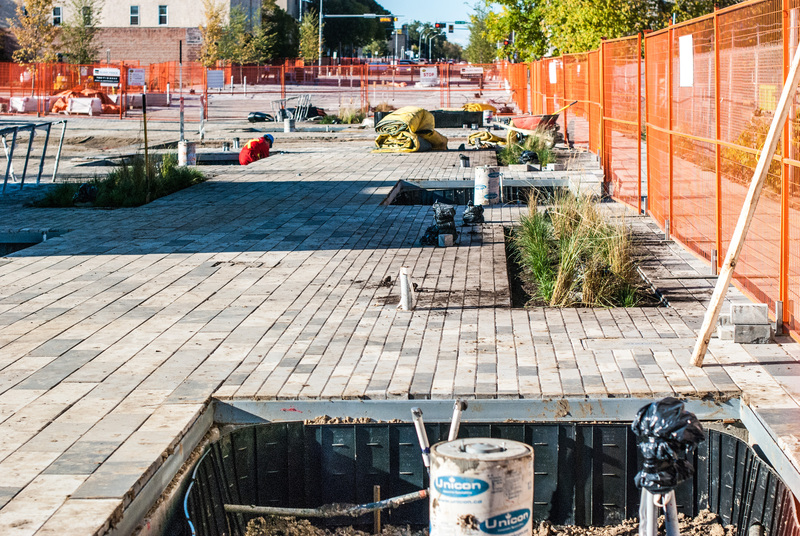 A few months back I posted Revitalizing 96th about the status of the project which is completely updating Edmonton’s 96th Street between Jasper Avenue and 103A Avenue, dubbed “The Armature” and anchoring the Quarters Districts. 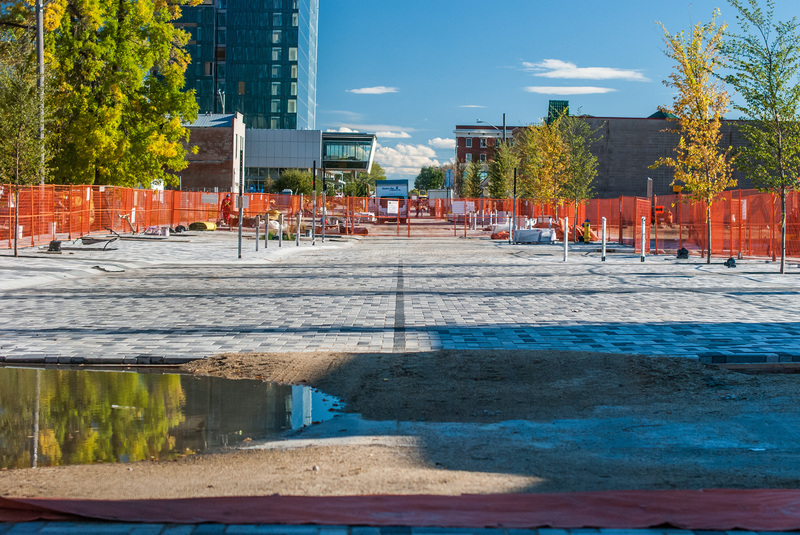 Work has continued through the summer and it appears that most of the paving, with the black,white and grey paving stones is complete. The area is still a construction zone, the street is not open but the sidewalks on both sides have been opened up for a few weeks. 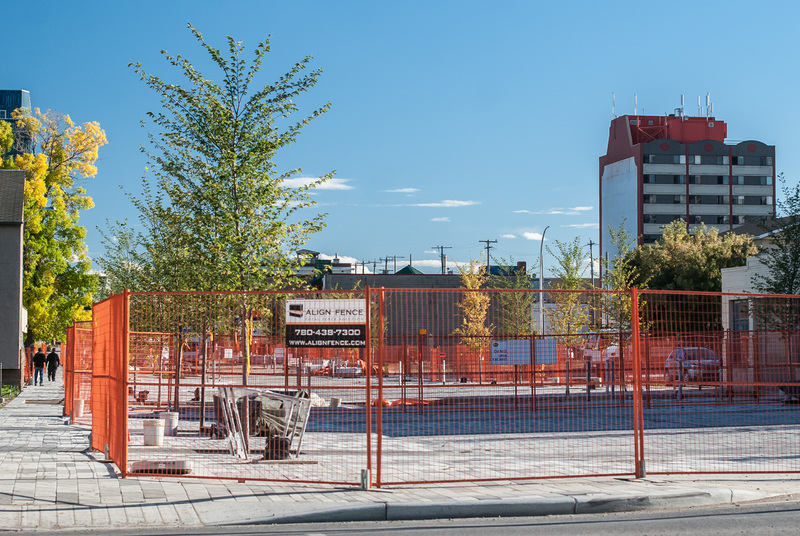 The remaining work seems to be the landscaping details – new trees have recently been planted, there are beds of perennial grasses and installation of some street lighting appears to be next. 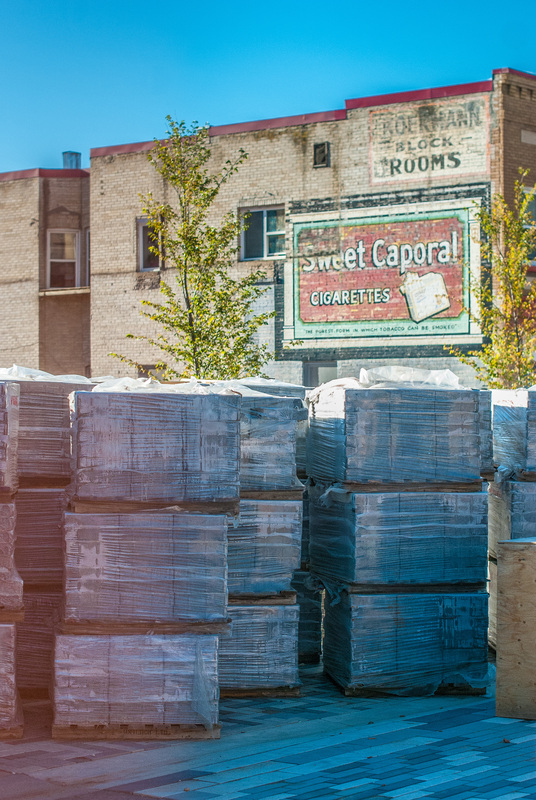 While the street paving appears to be done, pallets of bricks suggest that more work remains. Hopefully it can all be finished up before the snow falls. 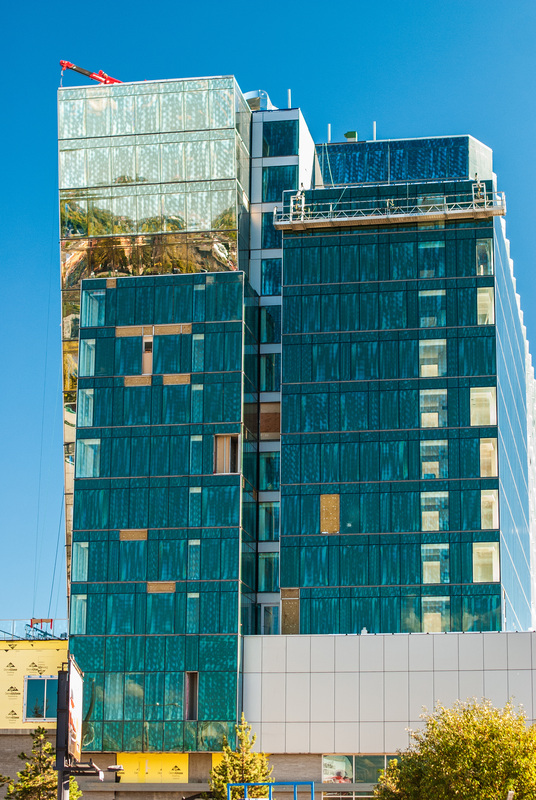 At the south end of the street, the new Hyatt hotel is looking good – appearing nearly complete from the exterior. Hopefully this brilliant hotel will soon spur on other developments on this about-to-be-beautiful street which is currently very barren in terms of any commercial buildings.